Scientists at Hollings Cancer Center at the Medical University of South Carolina have found that some cells can divide without a molecule that was previously thought necessary. Their results, published online in the July 2018 issue of Genes and Development, explain how liver cells can regenerate after injury and may help us understand how cancer arises and how cancer cells evolve to have additional mutations, which accelerates growth and spread. Authors on the paper included Gustavo Leone, Ph.D., director of Hollings Cancer Center and a Grace E. DeWolff Endowed Chair in Medical Oncology, and Takayuki Okano-Uchida, Ph.D. One of the areas of focus in Leone's lab is studying how normal cells divide to better understand the process in cancer cells, which can divide rapidly and spread. Uchida explained that cell division is necessary during periods of growth, such as embryonic development, and to replace dead or damaged cells. A key component of cell division is to accurately copy each chromosome providing identical DNA to each cell produced, termed DNA replication. Errors that occur during this process can result in cells with abnormal copies of chromosomes or deleterious mutations which can lead to cancer. "We are multicellular organisms," said Uchida. "To make multicellular organisms, it is important to copy cells, so DNA replication is very important to us." To divide properly and ensure accurate DNA replication, the cell must start this process at a specific location on each chromosome, called the 'origin of replication'. The entire process of firing these origins to start DNA replication, like the starting up of engines at the beginning of a car race, is highly regulated by a group of molecules called the 'origin replication complex' that binds to a certain place on the DNA within each chromosome and helps the cell recognize where to start DNA replication. This complex helps each cell make a precise copy of its DNA before it divides, and thus ensures that all cells have a perfect genome. Uchida and colleagues found while the majority of cells need a part of the origin recognition complex, called ORC1, to copy their DNA, cells of the liver and placenta do not need ORC1. These cells are a rare type that routinely copy their DNA but do not divide, resulting in a larger cell with twice the normal amount of DNA. This process, termed an endocycle, can occur multiple times creating a cell with many times the normal amount of DNA. The researchers found that in the liver, ORC1 is expressed at high levels in dividing cells. However, researchers found as the animal model ages and more liver cells start to endocycle, ORC1 levels drop indicating that ORC1 may not be needed to replicate DNA in endocycling cells. In order to test this idea, ORC1 was deleted in liver cells, and it was found that without OCR1, liver cells started to endocycle much sooner. "This finding is extremely relevant because it is generally accepted that ORC1 is essential for all forms of DNA replication," Uchida said. In their future research, Leone and Uchida are focusing on the role of ORC1 and abnormal DNA replication in cancer cells. Cancer cells use processes similar to the endocycle to grow rapidly and become resistant to therapy, according to Uchida. In fact, certain cancers have very low levels of ORC1 but are able to grow rapidly without it. "The catch is, that we think that by replicating DNA without ORC1, cells accumulate more mutations than normal, which could of course fuel cancer growth and progression." 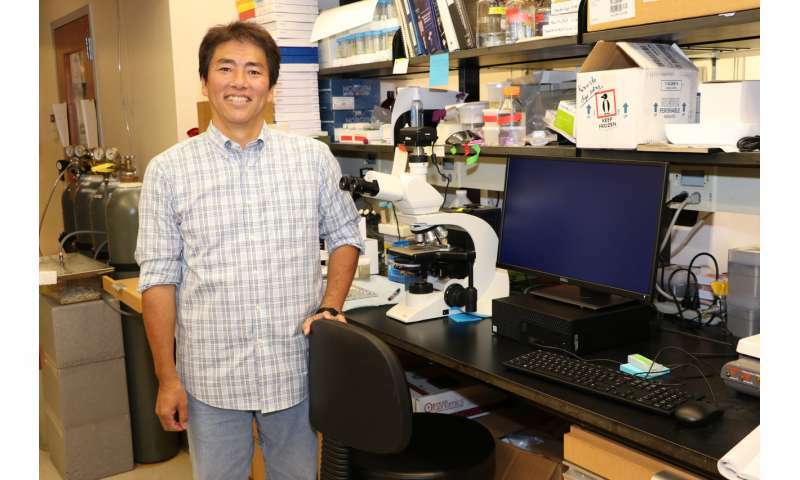 Uchida acknowledges that these results in mice may not extend to humans, and that question is also behind the team's next steps, which is testing their results in human liver cell lines. "In this paper, we show that ORC1 is essential for mouse development," said Uchida. "It should be the same in human development, but we really do not know yet."